Item Dimensions: Height = 4.88" by Width = 3.13"The Antique finish is a fresh take on a classic look. This carefully crafted design imbues the raw copper with an authentic rustic charm which resembles the seasoned appearance of an age old penny ¨C perfect for those who want to add traditional beauty to any room. 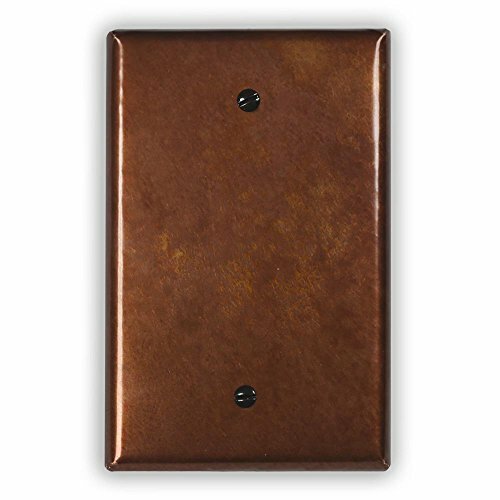 All Copper Venture wallplates feature real copper metal wrapped around an unbreakable vinyl wallplate. If you have any questions about this product by Copper Ventures, contact us by completing and submitting the form below. If you are looking for a specif part number, please include it with your message.